The Big Quiz Thing: Who won last Tuesday? Nepotism won. Who won last Tuesday? Nepotism won. Well, we've all had a few days to process that election. Fun fun. 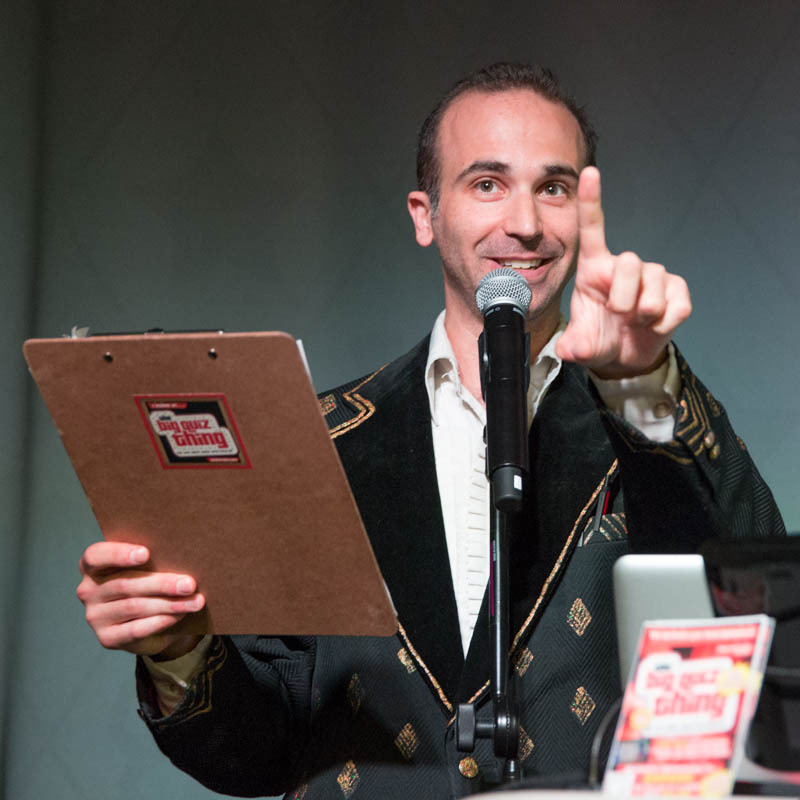 But let's look at the aspects of the election that we can all agree on: trivia. Here in New York, we'll soon have a new governor, Andrew Cuomo. 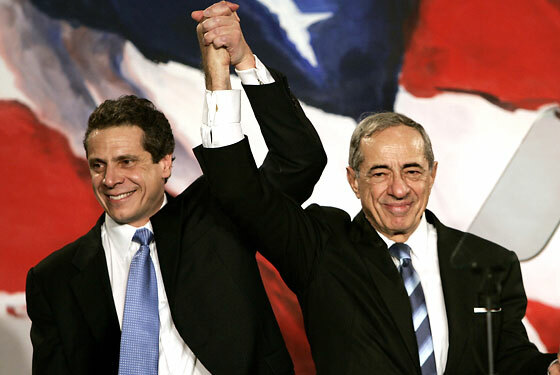 As you are doubtless aware, he is the son of a former governor, Mario Cuomo (in office 1983–1994). Hey, I voted for Andrew, and I like what I see from the guy, but I'm always a little skeptical of nepotism. I mean, what are the odds that the best guy for the job just happens to had his diaper changed by the boss? — Ben Quayle, the 34-year-old son of the guy who's in a 20-way tie for the title of worst Vice President ever, just won the race to represent the third district of Arizona. Not that hard a trick, since it's a pretty bright red district, but Ben had some disadvantages: He attracted negative attention for running an ad in which he labeled Barack Obama "the worst President in history," in a stunningly poor understanding of American history; he also starred in a commercial with a couple little girls who he implied were his children (they're his nieces). Worst of all—to my mind—he announced his candidacy by having his dad declare it on Fox News. Ugh. —A silver lining of Tuesday night's results: Jerry Brown wins! All my life, I've loved California, and Governor Moonbeam is Mr. California: He was governor when I was born, later became mayor of Oakland and CA attorney general and secretary of state, and now he's going to be governor again, having crushed Madame Moneybags, who spent $140 million of her own dough on the race and now has jack to show for it (and I worry about eating $13 on a canceled bus ticket). Like many of you, I first heard of Brown when he ran for President in 1992, the first election I really paid attention to, and I've always loved this wacky guy. Besides, how could you not dig the subject of this song? But he, too, is a beneficiary of daddy string-pulling: His dad, Edmund Gerald "Pat" Brown Sr. (yes, Jerry is Edmund Jr.), was gov from 1959 to '67. The only office holder between father and son's first term was your homeslice and mine, Ronald Reagan. I suppose politics is no different from so many other lines of work in this world; after all, Donald Trump Jr. is an executive VP in his dad's company and is married to a supermodel. Every time I question my own career success, I consider how I did not enjoy these advantages, since my father is hardly Mr. Showbiz. I'm sure I would've had the inside track on being a pharmaceutical labor lawyer, but really, I don't think the shiny jackets would've fit in that line of work. Things happen the way they're supposed to. By the way, this post has inspired me; expect a four-parter on father-son politicians in the BQT's near future. I promise.